Covered in dust, pops and crackles, Mark Aubert’s beats are honest, cloudy and filled with heart. Hailing from San Francisco, a city drenched in fog year-round, there’s almost a direct connection with the weather and Aubert’s music. Working in a DIY manner, his beats remind me of the feeling MF Doom’s music has. Unfased and out of touch (in the best way possible) with any other contemporary music. The only thing that exists in his world is the self-taught trades of the 303 and the record crates. 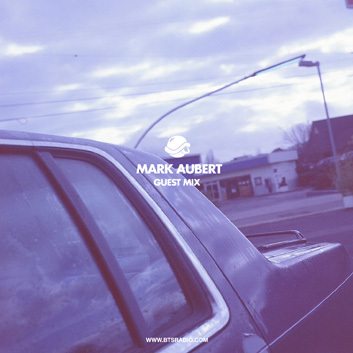 Aubert came way of recommendation from S.Maharba, who included the track “Tomorrow Comes Again” in his recent BTS guest mix. A minute after I heard that track, I had to get in contact. Aubert has released three very limited cassette tapes, 50 each title, through Iowa based cassette label, Sassbologna Records, who also first released S.Maharba’s self-titled LP. Aubert's releases are now available for free download through his BandCamp. In this guest mix for Andrew Meza’s BTS Radio, what you hear is all tape. Aubert mixing, live from cassette! Lo-fi beauty, hiss and a selection that may be best played late night.